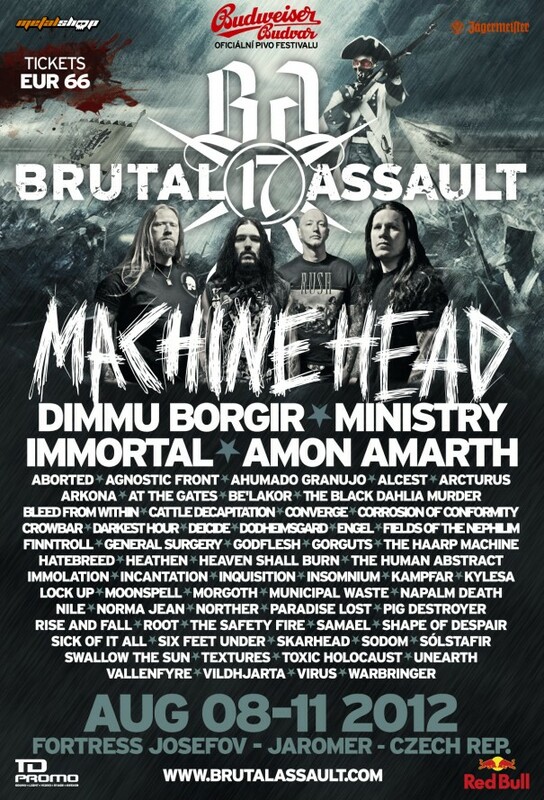 The 17th edition of the Brutal Assault Festival will take place from the 8th until the 11th of August 2012 in the Old Army Fortress Josefov in the Czech Republic. The combination of an international selection of extreme music genres and the location within the historical area of the Old Army Fortress is unique, and is an integral part of the festival’s image and provides festival-goers an exeptional experience. The marathon of extreme music will offer the best from a variety metal genres, in total over 75 bands from around the world will perform. 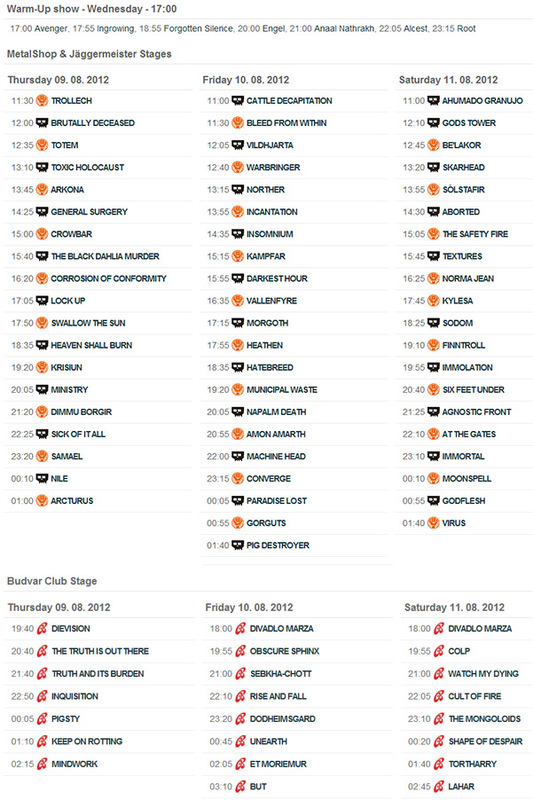 This takes place over the 4 days and on 2 stages. 1800,- CZK at the door (approx. 70,00 EUR*) for the whole festival. The festival-goers will find a wide range of refreshment kiosks serving a variety of food able to satisfy Carnivores, Vegetarians and Vegans alike. There will also be 4 big “beer tents” offering 5 brands of draught beer and also further kiosks offering various kinds of alcoholic and non-alcoholic drinks. Visit our “chill out” zone on the place called “Greenfield”! This place is inside the Fortress, just a short walk from the main area with the stages. Greenfield is a place for your pleasure and relaxation when you want to escape from the intensity of the live performances. It is also a place for recharging your batteries. Among facilities you can find there is the monster “Metal Market” with more than 60 stalls and last but not least the “Horror Cinema House” with a day-long projection of “B Movie” horror films. Visit also our “Natural Stand”, a place for those who want to see the festival rush from above directly opposite both stages. We call it “Natural Stand” since it offers fans a ‘Granstand’ view of the festival where you can stay standing or sitting. This year there will again be an additional sound-system in place, creating an outdoor sound of exceptional quality! The Camping Site is approx. 300 m from the festival ground on a grass field. The camping site also includes “VIP Camp” which offers camping in the fenced area, toilets, washbasin and depository for use of the VIP camp inhabitants exclusively, a free 3-day pass for the natural stand and shower situated in the main camping site. VIP camp is guarded 24 hours a day from Wednesday August 08th till Sunday August 11th. There are no parking capacities at the camping site. 24 hours “Guarded parking” is situated approx. 500m from the camping site by the river. Parking is also possible in the near roads and streets of Josefov. Please respect the local traffic signs.